One of the biggest dilemmas risk managers have, is achieving company-wide participation in the organisations risk management process. Every Risk Manager knows the benefits of departmental managers collaborating in the organisations risk program. Obviously, it’s also a requirement in risk based compliance and standards frameworks. The problem is engaging with these key people. Even if the managers want to participate, distance and work loads can make it hard to organise meetings. 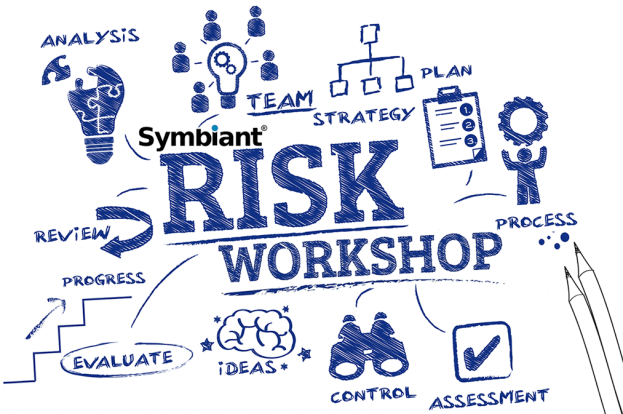 Workshops have been part of the Symbiant risk modules since 2003. They are a simple and effective solution that allow groups to collaborate on projects without the constraints of time and distance. Meaning because it’s web based, people can join in from any location, each stage can be open for a suitable period to allow all members to participate in their own time. The workshops give the organisation a standard and easily embedded platform so all departments can measure and treat risk using the same metrics. The more people who participate in the workshops, the more accurate the results (wisdom of crowds). Because the workshops are a sandbox environment, they can also be used for training or general blue-sky thinking. Workshops also help users become familiar with how the company assesses risk and helps them to understand the process, this in turn enables them to better identify potential issues and how to deal with them. When a workshop is finished it can be archived and reported on, this is ideal for looking back on why certain decisions were made. Symbiant audit and risk management software contains workshops and all the required modules as standard, whilst remaining the most cost-effective software solution on the market. Contact us today for more information, view our packages or sign up for a 30 day free trial.